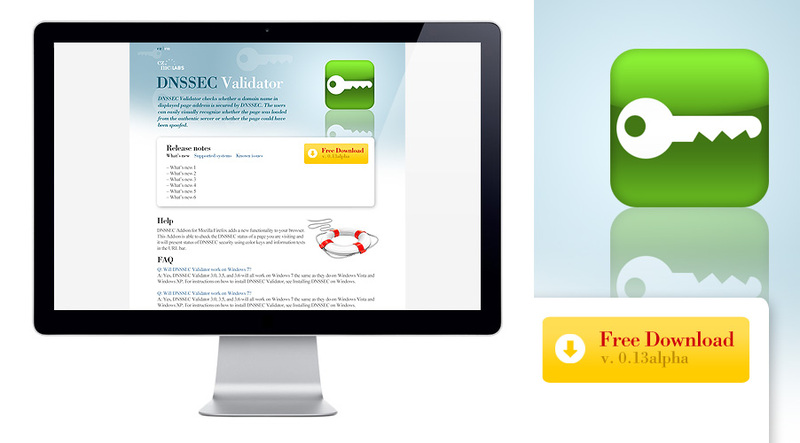 DNSSEC Validator is a Firefox extension designed to detect DNSSEC security in web pages. 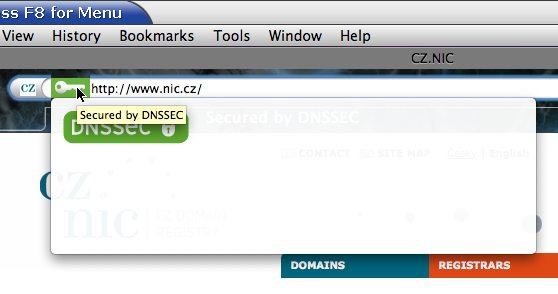 DNSSEC Validator checks whether a domain name in displayed page address is secured by DNSSEC. The users can easily visually recognize whether the page was loaded from the authentic server or whether the page could have been spoofed. DNSSEC Validator gets DNS records for a domain name used in page address and compares them to IP addresses Firefox used to download the page. If the records contain DNSSEC signatures which can be validated, the user is protected by DNSSEC. Otherwise the user could have been a victim of DNS spoofing. The result of the comparison is displayed as green/orange/red key right in the address bar.